You probably groan every time you hear the word study. The word itself often evokes images of endless hours studying for exams. This method of studying is probably the most common but there’s no real evidence that spending long hours pouring over material trying to commit it to memory actually works to help you learn English. There are actually better and more effective methods to help you study that are backed by science and you might even find that you enjoy some of these methods. Exercising regularly not only keeps you fit and healthy but also improves your memory. You should be keeping fit anyway but when studying try taking short breaks and going for a brisk walk to keep your mind alert. You might have your favourite desk or table at home or your favourite spot at the coffee shop but science suggests that you change study locations. Why? Using multiple locations gives your brain more places to associate material with and when it comes to class or test time then you’ll be able to recover this information more quickly. You might think that studying all-night works but it is much more effective (and pleasant) to study in shorter sessions spread out over a longer period of time. This can be hard to do if you suddenly have a test or a lot of work to do in a short amount of time but you still should be able to break down the work you need to do into smaller chunks. Another reason why an all-night study session is a bad idea is that it can hurt your chances of performing well on the actual day of a test. A lack of sleep is proven to have a negative effect on your memory, information retention and processing. Plus, if you go without sleep for a night it can take some time to feel normal again, something you definitely don’t need if you have many exams at the same time. Reading your books and looking over your notes is a good start, but there’s no guarantee you’re going to remember what you are reading. An effective study method is rather to read and test yourself on what you’re reading. Try making flashcards or creating a test or quiz for yourself to see what you know. This could reveal areas where your lacking and need to focus more on. It might be easier to read online or read from typed notes on your pc, however it may be more beneficial to read handwritten notes instead. Devices can cause strain on our eyes and cause us to get tired more quickly. In addition, it is believed that our reading speed is slower on electronic devices, so they might effect how much information we can take in. Taking all this into account, it might be wise to switch to textbooks and handwritten notes to study. Instead of studying just to retain information, try studying with the aim of teaching what you have learned to someone else. By trying to teach someone else, you are really showing what you have learned, instead of just looking over notes passively. This means you are more likely to be able to recall this information again when you need to. 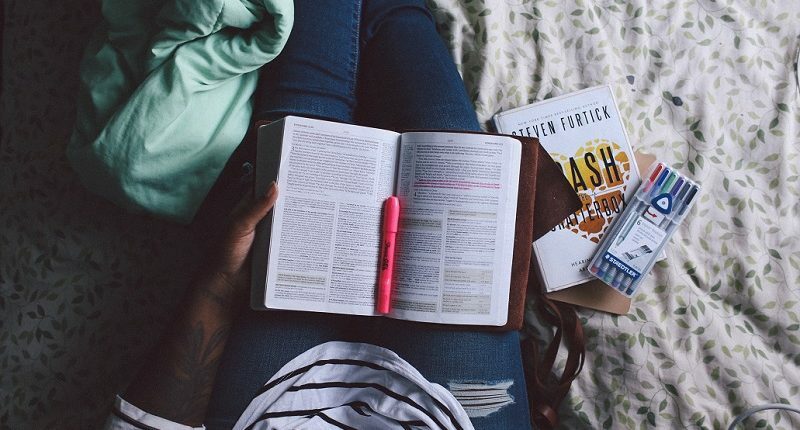 These are some of our best tips for studying, and we think they sound a bit more exciting than simply staying in the same place reading over a textbook. Let us know your best study tips in the comments below!